Scuba Diving Phuket – Discover exclusive PADI diving courses package in Phuket specially crafted by All 4 Diving Thailand. Explore the island and enjoy your Phuket PADI diving courses vacation with our selection of great value holidays. Feel free to contact us for personalized diving course package “a la carte”. Accommodation in Superior Room, max 2 guests per room. 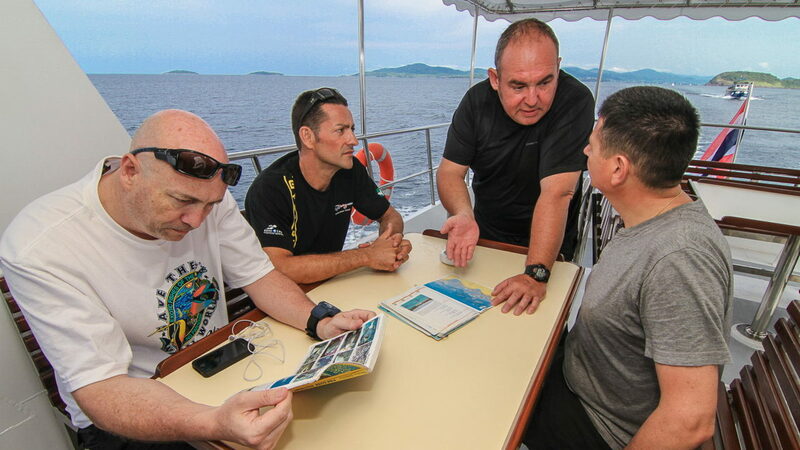 Included: accommodation, diving equipment, dive insurance, all PADI material & certification, transfers boat - hotel. On-board breakfast, lunch, snacks, soft drinks, water, coffee & tea.